Yes, you can negotiate your first contract. Follow these tips to make your experience a positive one. Mario Espindola, M.D., knew he wanted to practice at a federally qualified health center. Through professional conversations and gentle negotiations, both he and his employer found happy outcomes. As Mario Espindola, M.D., neared the end of his residency in the University of California, San Francisco Fresno Family and Community Medicine program this spring, he began looking for his first practice opportunity. He knew where he and his wife wanted to live and that he preferred a federally qualified health center. 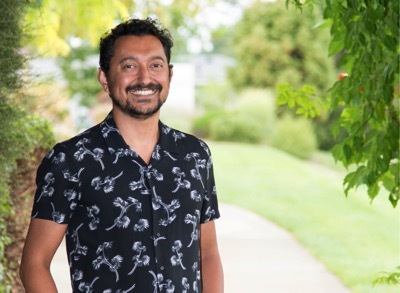 Espindola found just that at Hillside Health Center in Ukiah, California, but his work wasn’t over after he landed the job. He still had to negotiate his offer. Kelly Kesey, the recruiter and training coordinator for Mendocino Community Health Clinic, Mendocino Coast Clinics and Long Valley Health Center in northern California, recruits health providers and executives for Hillside Health Center and a number of other locations. She says Espindola handled his negotiations exceptionally well. “He knew that the practice wanted someone who was bilingual,” says Kesey. “So when it came to negotiations, he said, ‘I’m wondering if the agency strongly values that I’m bilingual and if that has a place in these negotiations.’” Espindola wasn’t pushy, but he paid attention and balanced his interests with the needs of the employer. Espindola’s example shows physician contract negotiations don’t have to be a battle. Both he and Hillside Health Center ended up with happy outcomes. And that’s what negotiation is all about: making sure everyone comes out ahead. Some physicians hesitate to negotiate because they don’t want to come across as difficult, according to Ryan D. Mire, M.D., FACP, who practices at Heritage Medical Associates and serves as associate chief of medicine at Saint Thomas West Hospital in Nashville. “There is a natural intimidation factor that exists with an early career physician who feels like they need the job and doesn’t want to get into a contentious relationship or conflict from the beginning of the relationship with the practice,” he explains. But Mire and other seasoned physicians know that negotiating terms is just part of the process. Physician recruiters know this, too. As the regional director of physician recruiting for LifePoint Hospitals in Colorado, Utah and Nevada, Bruce M. Guyant, DASPR, has seen good and bad examples of negotiations in his 18 years of recruiting. He says that although some negotiations have wrinkles, LifePoint Health always wants physicians to feel good about the outcomes. “I speak not only for myself, but all of my esteemed colleagues in the industry, when I say that I truly want a physician to be happy, contented and comfortable with the agreement that they sign with us,” says Guyant. But physicians who don’t negotiate may later find out they could have been earning more. Although most employment agreements must keep physicians within a set range, there can be wiggle room. Additionally, compensation varies from region to region and even practice to practice, says Espindola. He emphasizes that physicians have to find out what’s out there. The only way to negotiate is to know your own worth and the going rates. When negotiating, it’s helpful to look past the short term and consider what you want your work life to be several years in the future, recommends Rebecca Miller, M.D. In addition, it’s important for physicians to understand how a potential employer or practice determines compensation. Some base pay on productivity, while others use experience or specific skills to determine salary. Knowing what matters most to an employer helps physicians gather the right data to estimate a fair starting point. “People respond to objective data,” says Brake. In fact, if another party doesn’t respect the data you present, it could be a red flag about future dealings. Asking questions also eases you into the salary discussion. 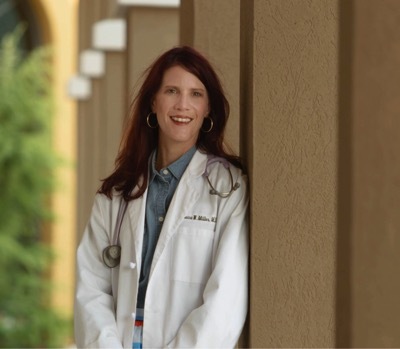 Rebecca W. Miller, M.D., who specializes in internal medicine and pediatrics for St. Vincent’s Family Care in Hoover, Alabama, says she was not comfortable negotiating her contract. “When you come to negotiations as a resident physician, you may not feel empowered,” she explains. Miller says questions help you start the conversation, establish a relationship and gather information. “I would recommend to ask a lot of questions and consider what you will want out of life not just one year, but many years into the future,” says Miller. Worried about how you’ll come across if you negotiate your contract? Follow these tips from physicians, recruiters and consultants to make sure your negotiations go smoothly. Timing is everything. Asking about compensation too soon can be a big turnoff to employers, so get to know a practice and its physicians before talking dollars and cents. That said, don’t drag out talks. If the hiring process is advancing without a salary discussion, ask your first or most trusted contact when and how to ask about money. It’s a myth that everything is negotiable, but don’t assume the opposite. Recognize that some terms are flexible, and others aren’t. If a practice won’t or can’t budge on an issue that matters to you, you’ll have to make a tough choice between walking away or compromising. Ask questions not only to gather data but also to build relationships. Show interest in the practice, the area and future colleagues. By demonstrating excitement, you’ll show you care about more than your own interests. Explain that you want to find the opportunity with the best long-term fit for you and your family. By showing the practice you want to put down roots, you can demonstrate commitment and explain why the contract terms matter to you. If you receive an offer from one employer while negotiating with another, it’s OK to let the second employer know about the first. Emphasize that you’re still excited about their opportunity and give them your decision timeline. If that employer can accommodate your timeline, it will. Sometimes, a practice simply can’t meet another deadline because it’s still interviewing prospective candidates. Demonstrate your value. Use objective data to show the employer what benefits you offer. For example, bringing you on board might help the practice offer a new revenue-generating service or expand its patient base. Be persistent but reasonable. You don’t want to fold immediately, but you must be willing to compromise. Get help if you’re uncertain how to negotiate or gather salary data. Attorneys and consultants can review contracts and arm you with information. And experienced colleagues make great mentors because they know how the conversation looks from both sides of the table. Be open about your hopes and desires. Paint a picture of the future you want in medicine. This is much better than taking a guarded, adversarial approach to negotiating, and it will help the other party feel like you’re on the same side. Practice openness, honesty and trust to keep negotiations positive whether or not you accept the job offer. If you do walk away, both parties will understand why, and if you sign the contract, you’ll start off on the right foot. Salary is not the only item on the table. A financial package might include a sign-on or retention bonus, moving expenses and other perks. Physicians may be able to negotiate these amounts or adjust their payment schedule. For example, Espindola worked with the group to negotiate slight changes in his signing and retention bonuses. Lifestyle factors are also important to many physicians today, says Miller. Schedules and vacation time might be negotiable depending on the practice. “This was not the case when I entered the workforce,” she says. Physicians who want additional family time should find out whether those terms are even on the table before negotiations go too far. And if an employer is willing to budge on lifestyle factors, a candidate might need to be more flexible about other terms. Guyant adds that physicians should try to understand an employer’s perspective. When a practice denies a request, it may be less about winning the negotiation and more about ensuring the practice’s viability. To stay in business, practices have to maintain a certain budget while providing a high level of care. Mire hired an attorney to help with contract interpretation. He advises new physicians to do the same, but to negotiate without an intermediary. “I would hire an employment agreement attorney for the legal understanding of the contract, but handle negotiations on your own,” he says. He believes this is more personal and less adversarial. Blythe agrees. “A physician is his or her best representative,” she says. Attorneys help by reviewing contracts and making recommendations, but candidates shouldn’t assume their attorneys have the final word. Blythe has seen candidates propose long lists of contract changes from their attorneys even when “there may be just a few things that are negotiable.” Many established practices have standard phrasing and clauses that aren’t up for debate. After research comes negotiation. The same rules of professional courtesy apply here as with all other communication. Honesty and openness are important. And although candidates and employers should consider offers carefully, it doesn’t help either party to play waiting games. “Hillside Health Center took the time to review every counteroffer that I presented to them and get back to me in a timely manner,” Espindola says. “Kelly and Dr. (Thomas) Bertolli were very good about communicating,” he adds. Other practices made him wait longer and did not communicate as well. Poor communication during a negotiation can be a warning sign. As Kesey points out, practices should want providers to feel valued and vice versa. An open, friendly negotiation process creates “an established relationship of trust and of hearing each other, like how to say ‘no.’” This sets the stage for open discussions in the future. Blythe echoes this sentiment. “Be honest and aboveboard with everyone, and try to make it a win-win for all involved. Being comfortable with your relationship with your new employer is as important as anything you will negotiate in a contract,” she says. According to Guyant, conceding a little leaves both parties feeling good after the physician signs. “Often, to get a few things that you need or want from your practice arrangement, you need to be willing to give some concessions to the hospital or clinic for whom you are going to work,” he explains. Mire agrees. “I advise all physicians to ask for what they want but understand that it’s a negotiation and they may not get everything they ask for,” he says. Teresa Odle is a frequent contributor to PracticeLink Magazine.